Remove residual NaOCl from canals by rinsing with sterile water or anesthetic before using Irritrol. This is important to prevent an orange-brown parachloroaniline (PCA) precipitate formed by a reaction between NaOCl and CHX. 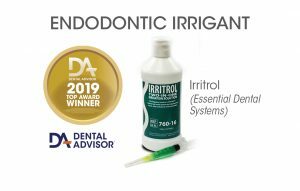 Irritrol Two-In-One Irrigation Solution is a single-step, endodontic irrigation solution formulated for use as a final rinse after sodium hypochlorite (NaOCl). Irritrol contains chlorhexadine (CHX) and EDTA to disinfect the root canal and remove the smear layer. 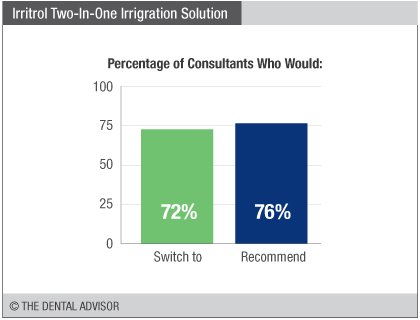 Irritrol should be dispensed from an irrigating syringe into the canals and continuously irrigate for 60 seconds. 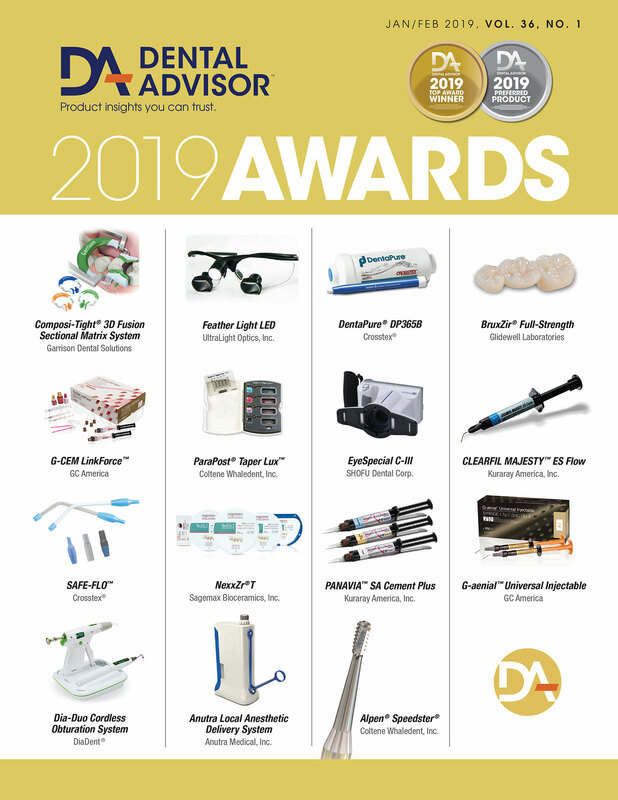 Irritrol is formulated to flow into dentinal tubules due to reduced surface tension. Its bright green color aids differentiation from other irrigants. Irritrol was evaluated by 25 consultants in 424 uses. 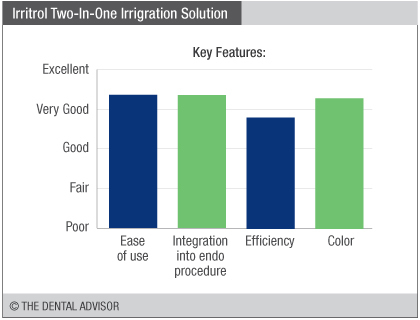 This endodontic irrigating solution received a 91% clinical rating. Irritrol is pre-mixed and always ready to use. This single solution rinse is quick and efficient with no waiting period required before drying the canals, shortening the procedure time. 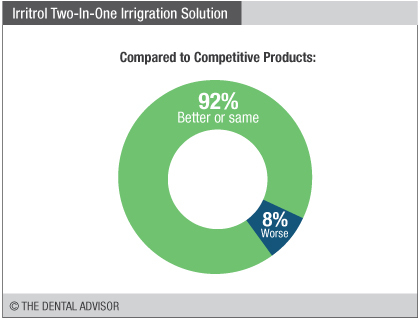 Irritrol combines two widely accepted products to achieve cleaning and disinfection of canals. Dental assistants liked the green color, as it provided visual identification once loaded into a syringe. Simple packaging, room temperature storage and a long shelf life add to the convenience of this product.